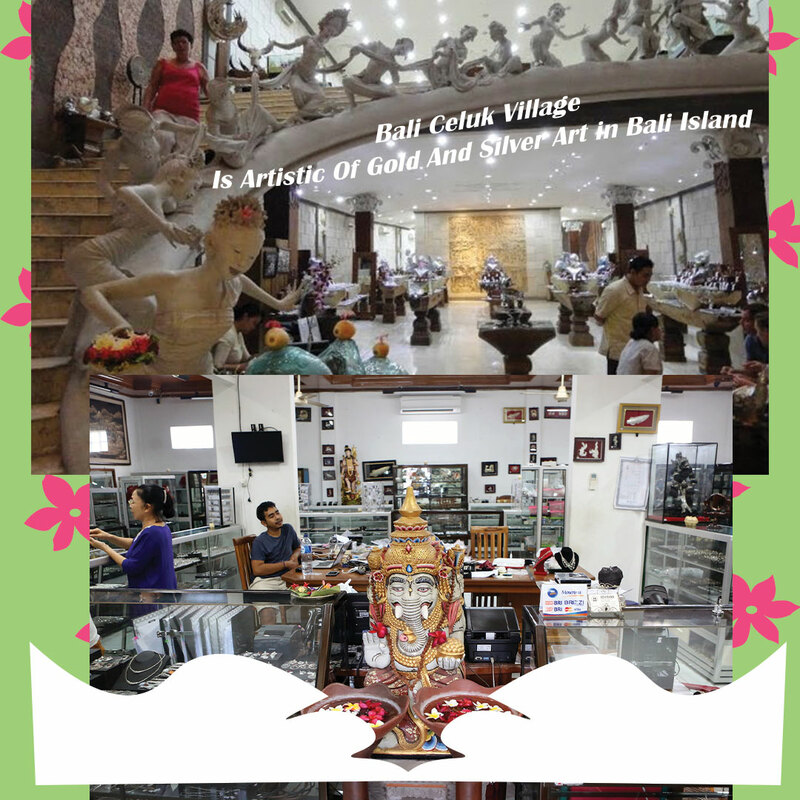 Bali Celuk village is artistic of gold and silver art village. Bali Celuk Village is a traditional village located near to Ubud in the Gianyer Regency where you can appreciate the mountain culture which in many ways is similar to that of the traditional areas of Ubud. And the other surrounding villages except for one major factor, Celuk Village is famous for the incredible gold and silver handicrafts which are available around this area for very low prices. In the Sukawati area, you will find that the craftsmen are of a very high standard and you can barter over these goods or even buy in wholesale capacity. As well as the shopping opportunities, there is a lot to see around Celuk Village and the culture of the area is fascinating as well as relaxing to see where the pace of life is slow. And you will find some interesting characters as well as plenty of place to try the local dishes and international dinning. There are some other attractions as well as in the area as well as a number of facilities and hotels which are usually top end or midrange boutique little places hidden away in the village. Approximately, the distance separating Celuk Vilage and Denpasar is 8 km. It's located right after Batubulan Village which you're bound to pass on the way to Ubud. The famous Sukowati Traditional Market is also near this village, so it's always a good idea to stop at Celuk after a whole day shopping in the market. Simply ask local vendors in the market about the direction to Celuk Village, they will be more than happy to guide you there. The neighborhood stands out from the surrounding, thanks to gold and silver works gallery trimming both sides of the road. In the past, the dwellers of Celuk Village were mostly farmers. Rumors have it that there were only three families who belonged to the caste of Pande that pioneered this industry. This caste is well-known for their specialty in manipulating all kinds of metals to create accessories for Hindu's prayers. As tourism was becoming main commodity in Bali, more and more villagers left their farm behind and began to learn to craft silver and gold. Specifically, in 1976, almost all of the villagers had become silver smiths and Celuk Village has been popular with its beautiful jewelry and other silver handicrafts since then. As you enter the neighborhood, you're going to feel as if you were in a jewelry exhibition. On ether side of the road are established many art shops showcasing their finest works inside a glass display case. You can take a closer look at them to appreciate it and buy some if you really like it. Most vendors and smiths usually accept custom made jewelries. But, you can always ask them to make sure. Most of them are used to dealing with foreign tourists so their English should be fair enough to promote a conversation. If you're confident enough, you may ask their permission to forge and shape your own jewelries. Some of them might allow you, even guide you how to use the tools properly. Be careful, though, because molding silvers and golds involves fire and fire can burn your fingers pretty badly, not to say your money as well. Previous: Kintamani Tour Package to Enjoy Visiting Kitamani Village.